PERCY Guarin is one of the biggest names in Mindanao football. This is not only because of his impressive career as one of the country's national football players in his time but also because of his contribution to the present generation of aspiring Mindanaoan football players. Today, the 56-year-old Guarin is the president of the Misamis Oriental Camiguin Gingoog El Salvador Cagayan de Oro Football Association (Moca-Gesco FA). Putting his trucking-services business aside, much of his time is dedicated to discovering and honing football talents from all over Mindanao especially in the Misamis Oreintal. "I mostly coordinate with sports events and football tournaments and with various institutions especially schools so I can bring football closer to children," Guarin said. Guarin's football career started when he was 10 years old. At that time, He remembered that football was the favorite pastime of his closest friends and family in his hometown, Dumaguete City. "I grew up in a football community where most children my age and even those who are older, play football. We play it especially on weekends. That is when I started to learn football," Guarin said. With football in his daily life, Guarin brought his knowledge of the game to college as he played for the Silliman University Football Team. At that time, Guarin said that he was still undecided about the course that he will take. One thing he was pretty sure about was he wanted to pursue his football career. Guarin recalled that one of the biggest breaks in his football career happened when he was chosen by the scouts of the Philippine Football Federation (PFF) to try-out in Manila for the Philippine National Youth Football Team. "Out of the 60 other children, I was one of the few chosen to officially enter the National Youth Football Team after almost three months of training in Manila. That was on the year 1979 and I was only 19 years old," Guarin said. In 1981, Guarin entered the National Seniors Football Team to eventually participate in the 1983 South East Asia (SEA) Games in Singapore. He was also one of the National Football players to participate in the cultural exchange football activities between Philippines and Russia in 1983. Aside from the National Team, Guarin was also a national football player for the San Miguel Corporation Football Team, the Construction Development Corporation of the Philippines (CDCP) Football Team and the San Beda Football Team. By the end of 1983, while Guarin was enrolled at San Beda University, he finally decided to concentrate his studies. "While I learned so many things and met so many people in my football career and even if I am receiving quite an amount as an athlete, I think I just reached the point in my life where I wanted to have something stable, something that will always be there such as a degree. So, I continued my studies," Guarin said. By 1987 Guarin finally settled with his wife and they later moved to his wife's hometown, Cagayan de Oro. After about 13 years of focusing all his time to his family as a father and husband, Guarin later on decided that he wanted to go back to football, not as a player but as a coach. "It was in 1998 when I asked my wife if I can go to the capital and join the AFC License Coaching Course. 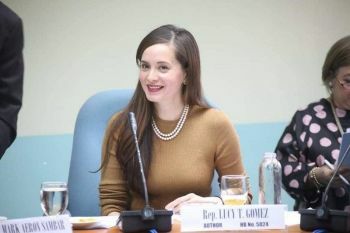 She agreed and that was the start of my ongoing advocacy to impart my knowledge as a former national football player to the younger generation,” he said. Since then, Guarin has been known to coach, instruct and organize clinics in the city for football associations and schools. Guarin said that once, he even collaborated with the Physical Education (PE) teachers of one school just so he can teach football to the students. "You have to start especially in the school because the students are there. Even if sometimes the school's administration ignores me, I go directly to the teachers to help them in their PE classes and even to the students themselves. What is nice about this is that one should only go to the school's field, bring a ball, and children will immediately be drawn to the ball. There you start to instruct them about the game," Guarin said. One of Guarin's most famous self-initiated projects is the "All Heart for your Dreams" program. In this program, he collaborated with some sports associations in the city and conducted free football clinics to children especially those in the grassroots level as well as discover new talents in the field. Also, his program includes the establishment of the Cagayan de Oro football center, the Liga Estudyantes, the Mindanao 1 Futbol and project "Happiness." All of these aim to open wider opportunities for people especially the youth in Mindanao. Aside from these, Guarin said that he is very open for collaborations from any group who wants to organize football cups or workshops in the region. He said that the football tradition still has a long way to go to be one of the leading sports in the country. He said more and more people are now either playing or advocating it. Guarin became one of the catalysts for the growth of the football sports community in the Northern Mindanao region. "The reason why we have to tap players such as the Younghusband siblings in our national team is that in the places where they actually grew up, they have experienced the complete training for an aspiring football payer. Aside from them having Filipino blood and citizenry, which makes them qualified for the national team, their home countries really have organized football trainings for every milestone of their life so when they come of age, they can really play in international games," Guarin said. With this, he focused on the importance of giving attention to the training of aspiring Filipino football athletes in the Philippines. He added that if football will be seen as one of the most popular sports in the Filipino community like basketball, more and more children will become interested and will enter the game. "If this advocacy of spreading awareness in the football sport spreads in the whole nation, we will later see talented Filipino youth, possibly even from the grassroots, representing our country in international games," Guarin said.